The new cause celebre in Louisiana is the church fires in St. Landry Parish, for which a suspect was arrested. His name is Holden Matthews, and he’s the 21-year old son of a St. Landry sheriff’s deputy. “When Matthews was developed as a suspect, we saw an immediate threat to public safety. We felt like other crimes were imminent,” said State Fire Marshal Butch Browning today. 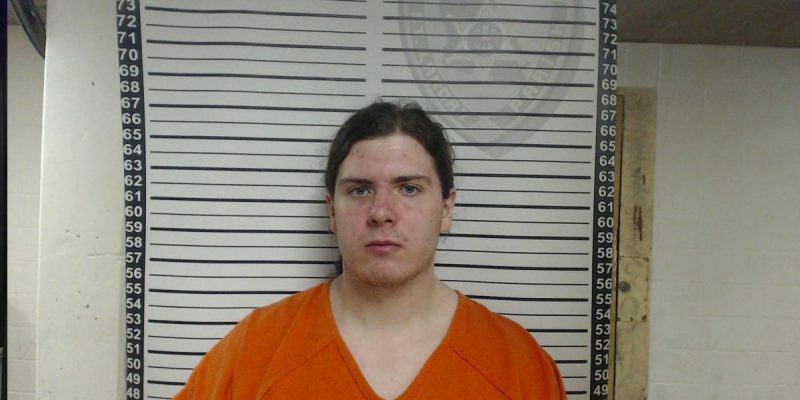 Officials are still investigating the exact motive behind the church attacks, but Browning said Matthews was associated with a genre of music called black metal. The genre is reportedly associated with history of church burnings in other parts of the world which have been documented in movies and books, Browning said. According to Matthews’ arrest affidavit, an early 2000s gold-colored Ford pickup truck was spotted on surveillance video entering the parking lot of the one of the churches just before the blaze erupted. The affidavit also mentions he purchased two gallon gas cans, a 10-pack of shop towels and a lighter on or about March 25 at Walmart in Opelousas. What do we know about black metal? First of all, it’s hard on the ears. And second, there is a significant segment of the black metal crowd Matthews was engaged with on social media who have a distinctly anti-Christian mindset. Nonetheless, there is some overlap between the black metal community and extremist views, as evidenced in part by the fact that Matthews commented on memes featuring Norwegian black metal musician Varg Vikernes, a major figurehead in both the Norwegian black metal community and the neo-Nazi movement. The former bassist for the Norwegian black metal band Mayhem, Vikernes boasted about burning churches in Norway with other black metal musicians called the “black circle,” which he attributed to his desire to take “revenge” on Christians and bring Norway back to its pagan roots. He served 15 years in prison for arson and for the stabbing murder of his Mayhem bandmate Euronymous, whom he killed in 1993 over a contract dispute. It’s not just the Norwegian black metal folks who like to burn a church. It also happened earlier this year in New Zealand, where a black metal drummer named Jacob Loewenstein lit up a Mormon church in what looked like a copycat crime to what’s depicted in Lords of Chaos. Interestingly, the black metal forums Matthews has been found to associate with on social media expressly decry racism. If we’re to take that seriously it’s possible to say the fact he hit three black churches might have had more to do with an aversion to attacking Christians he knows than any sort of white supremacist motivation. What we can say, with some degree of confidence, is that Holden Matthews doesn’t like Christians much. His social media accounts are covered with references to pagan gods, particularly those of the Norse variety, and it’s clear he’s read Vikernes’ blog, which is a compendium of every noxious Eurotrash ideology imaginable but is signally anti-Christian. This isn’t to say that every black metal afficionado is guilty of anything beyond awful musical tastes, but it does appear that Matthews had an affinity with the anti-Christian paganism of Varg Vikernes. And maybe, rather than turning the affront of Matthews’ church-burnings into the usual racially-charged controversy we’re all so tired of enduring, we can recognize that all Christians are under siege from adherents of hostile cultural forces who not only wish us harm but are willing to act on those wishes. This is a problem that has already manifested itself in events like the Charleston church shootings, but has largely gone unrecognized because race has gotten in the way; the time will come soon when it will be much more unmistakable. Next Article Florida has 26th-lowest property tax rate in U.S.